Healthy parenting flows out of individuals with healthy inner lives. 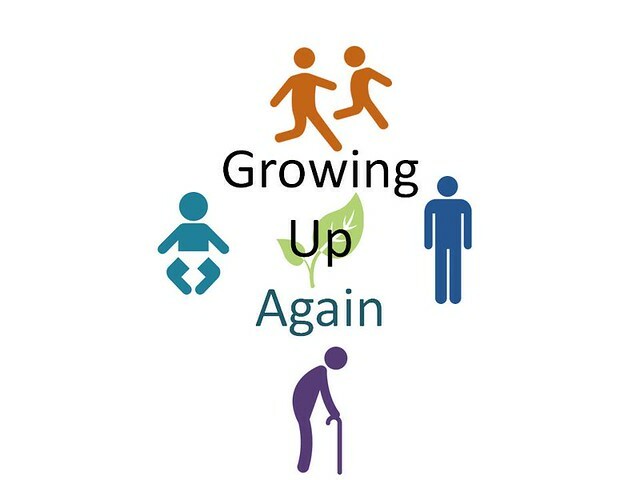 Growing Up Again provides guidance on how to provide children with proper ratio of STIMULATION, RECOGNITION, and CERTAINTY to help support the child’s development. You can’t provide what you don’t have and Growing Up Again walks you through processing your own childhood to identify those gaps and encourage your on-going maturation. 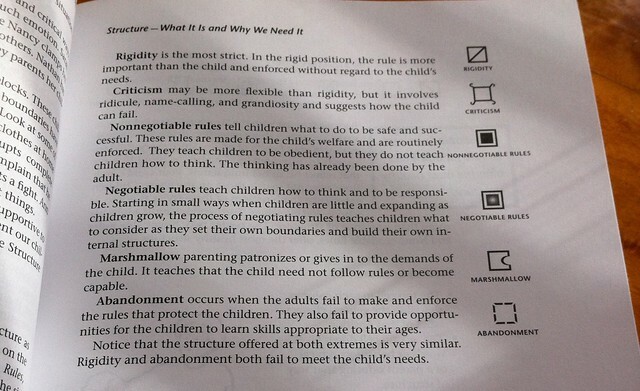 My favorite parts of the book were those personal maturity challenges, and diagrams the authors made to show the extremes and middle balance points for providing STRUCTURE and NURTURE to your child. 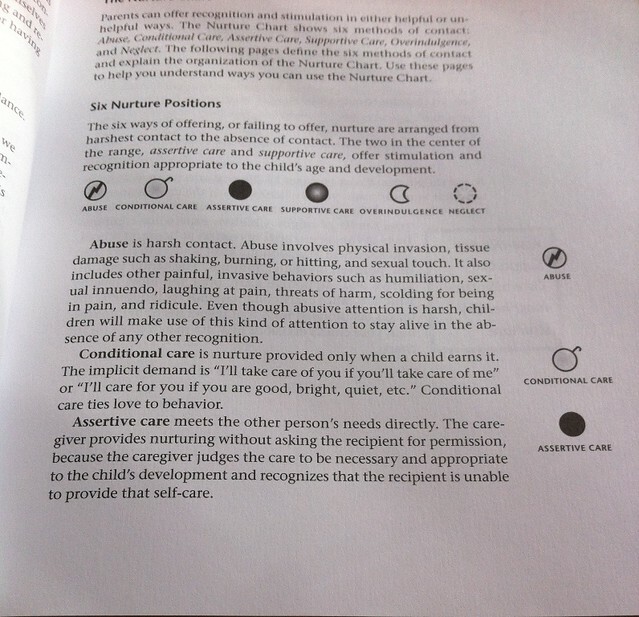 The authors present a structure for viewing parenting as providing a balance of nurture and structure to children. 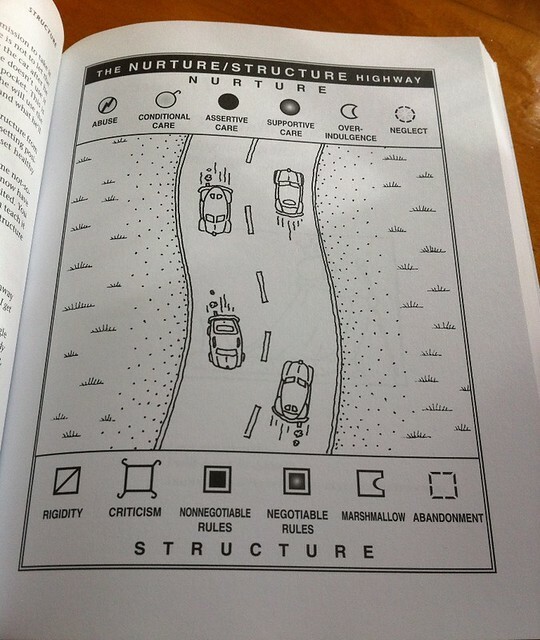 Here are the descriptions of the highway in more detail. The middle balance of non negotiable / negotiable rules also applies to finding harmony in marriage where you decide with your spouse what matters. The nurture lense has helped me to consider in my marriage and in my friendships, “what is needed at this moment? 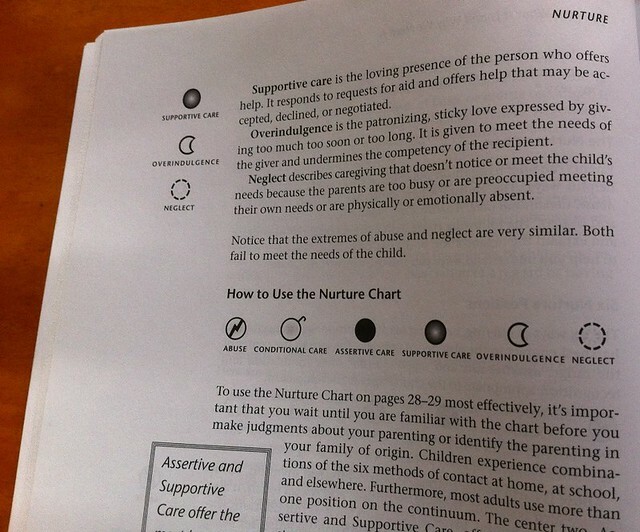 supportive or assertive care?” In marriage I’ve found the need to restrain myself to just give support and not interject myself. With my friends I’ve realized that I thought I was being supportive, “I’m available if they need me,” but I’m closer to neglect on the spectrum. Here is a challenge that hit me at the start of the book, one of many spread throughout the text. Right between the eyes! I remind myself of this when I’m reviewing goal statements. Is my goal to be the best? Why is being the best important to me? Am I placing how I feel about myself in someone else’s hands?